Registry Finder is a small tool for quickly searching the Windows registry and displaying the results in a list. You can edit found items or jump to an item in RegEdit in a single click. Search results can be saved to a .reg or a text file. How to extract: Download the "Archive" ZIP package and extract to a folder of your choice. Launch RegistryFinder.exe. 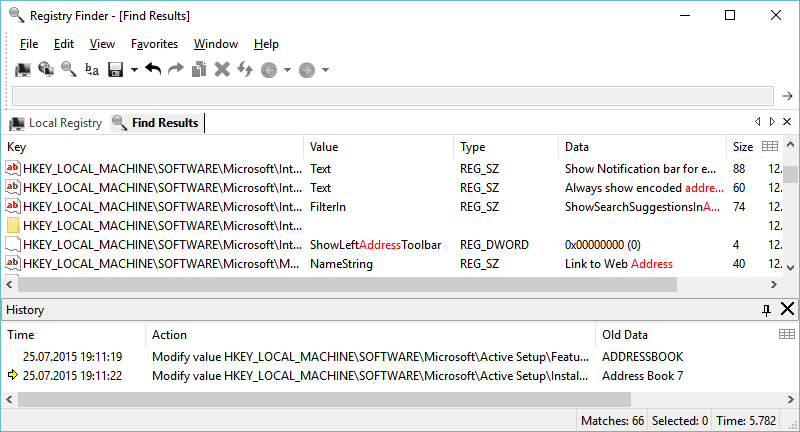 RegistryChangesView allows you to take a snapshot of Windows Registry and later compare it with the current Registry, Registry files stored in a shadow copy created by Windows, or other snapshots. When comparing two snapshots, exact changes are displayed, with optional export of the changes into a standard .reg file. How to extract: Download the ZIP package and extract to a folder of your choice. Launch RegistryChangesView.exe. Fixed bug: RegistryChangesView failed to handle large values (with more than 16,344 bytes) properly and this problem also caused RegistryChangesView to crash on some systems. 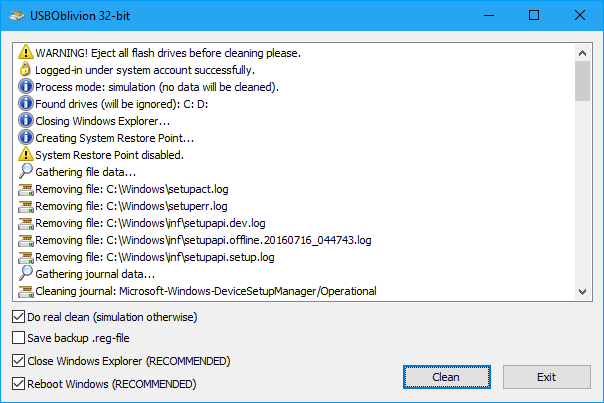 DriveCleanup removes all currently non present "Storage Volumes", "Disk", "CDROM", "Floppy" USB drives and their USB devices from the device tree. Furthermore it removes orphaned registry items related to these device types. Both are not removed by similar programs on the site and take up space on the registry, eventually slow down a computer over time. To preview program actions, start with argument -T (test mode). Useful app. Cleaned up over 75 obsolete entries on a laptop.